Port of Qingdao Automated Container Terminal is able to achieve 5.2 million TEU capacity thanks to the RAM SingFlex twin spreader headblock connection on single hoist cranes. XINHAUNET news reported in May on the Port of Qingdao putting into operation their fully automated container terminal which has the ability to serve 24,000 container ships every year thanks to the RAM SingFlex tandem headblock connection; which enables the port to increased lifting rates with single hoist cranes. We reported back in our April 2017 Newsletter on the Port of Qingdao ordering 7 units of our RAM SingFlex single hoist tandem 40 headblocks for their fully automated terminal. The order followed the terminal’s long study into the RAM SingFlex tandem headblock connection for single hoist cranes with alternatives. The study recommended the RAM SingFlex to be the solution for the two new automated terminals because of the flexibility, low capital cost and proven stable design. It also has the flexibility to couple with all spreaders, ensuring no obsolete equipment. The XINHAUNET news article on Port of Qingdao can be viewed here. RAM SingFlex is quickly becoming the tandem headblock of choice with units sold in China, Southeast Asia, North Africa, South America and UK. More information can be found also on our RAM SingFlex News Page. 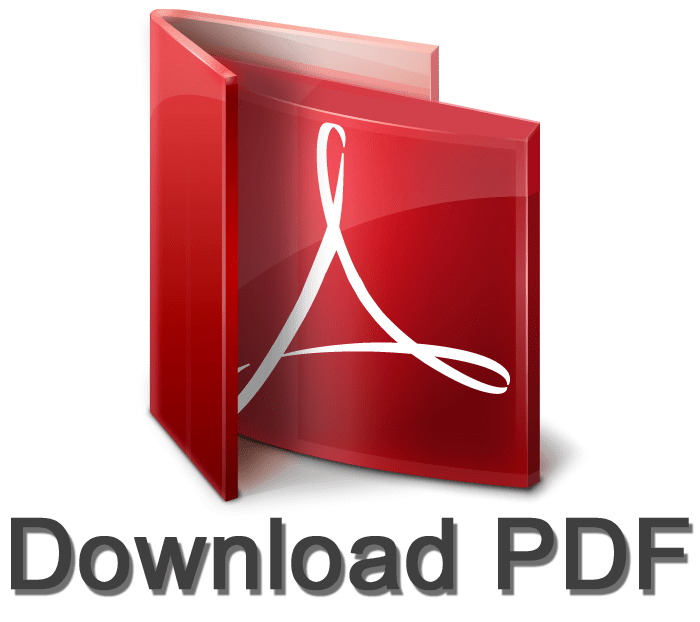 Read the terminals long study into the RAM SingFlex and alternatives here. RAM SingFlex can be seen in action here. If you would like to learn more about the RAM SingFlex, please contact our local sales agent for further details. With vessels getting larger ports are innovating to be able to transfer the containers from these massive behemoths faster. When the 18000 TEU CMA Benjamin Franklin, with 9 decks 9 rows high and 23 wide calls at a port, a faster approach is needed. 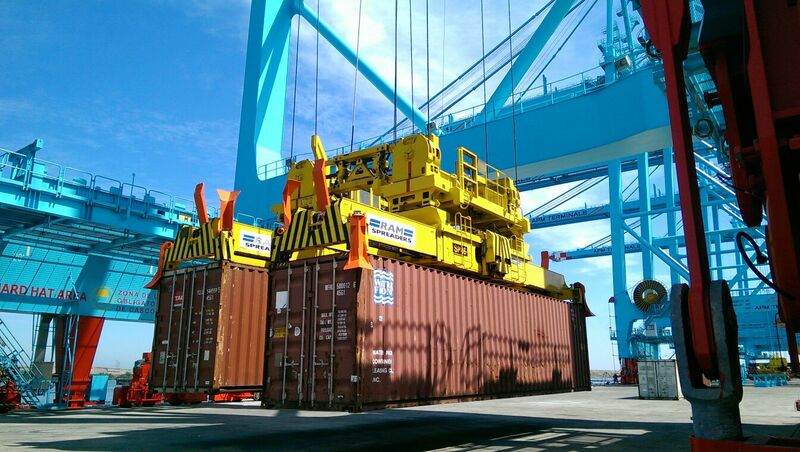 The answer; many ports are turning to the RAM SingFlex tandem headblock for multiple container lifting. Carrying two 40 foot containers is not a new concept, it has been happening in Dubai for a decade and after years of experience terminals are fine tuning how to do this. Experienced tandem crane operators, like DP World and APM Terminals, have learned that all cranes on a vessel do not need to work at the hectic pace of 60 containers per hour, instead focus needs to be on the larger points of work which control the vessel sailing. Flexibility is the key to turn around these vessels. You only need to work 2 or 3 cranes at 60 moves per hour. Click here to read the full article in our newsletter. Click here to view RAM SingFlex in action. 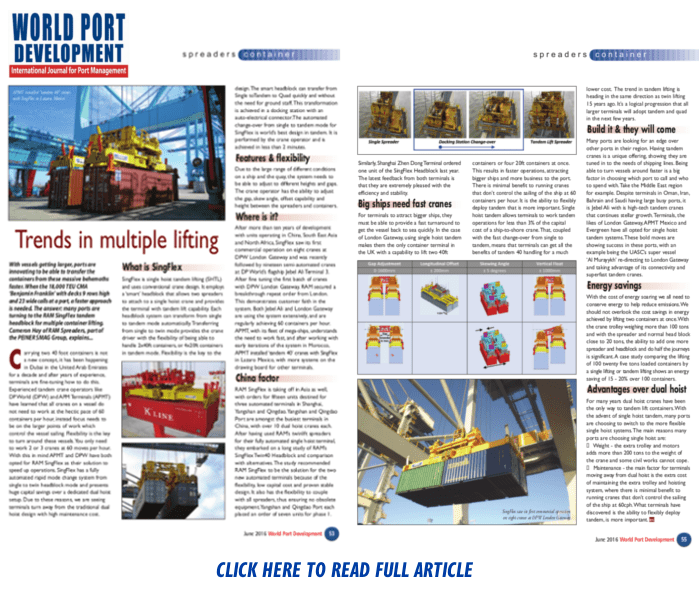 Trends in using the RAM SingFlex Tandem 40 Headblock has been reported in the industry publication World Port Development. In June 2016 World Port Development reported on the trends in multiple lifting. 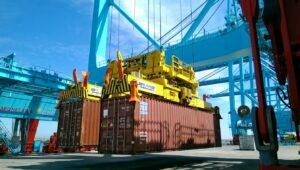 The report looks into the new concept of lifting multiple containers using a single hoist crane, focusing on the successes of the RAM’s SingFlex Tandem 40 Headblock which is now in operation in China, South East Asia and North Africa and South America. Also presented in the article is how SingFlex is flexible in operation, the energy saving benefits and explains the advantages over dual hoist systems. Consisting of 9 RAM 2940 Ship to Shore Twin Lift Spreaders, 25 ARMG plus 2 RMG RAM 3540 All Electric Spreaders, 7 RAM Twin-40 SingFlex Headblocks and 2 RAM Over-heights. APM Terminals won a 32 year concession in Lazaro Cardenas with an investment of approximately $ 900 million to design, finance, construct, operate and maintain the new specialized semi-automated deep water container terminal. The project is 3 phased, which in its first phase will have a capacity of 1.2 million TEU. The semi-automated facility will be a first of its kind in Latin America. Mexico´s government is determined to double port capacity within the next 6 years and APMT TEC2 will play a fundamental role in reaching this goal.